But Freier started work Tuesday, Jan. 3 as something quite unexpected. 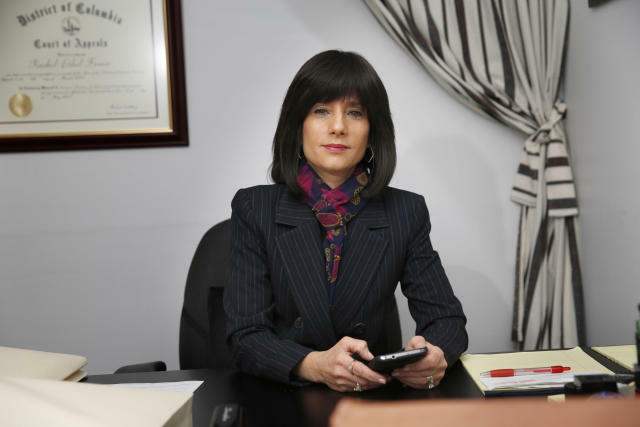 She's believed to be the first woman from the Hasidic community to be elected as a judge in the United States. At a swearing-in ceremony last month, she vowed to both uphold the Constitution and to illuminate the Hasidic world for her new colleagues. There's no official tally of American judges' religions, but experts aren't aware of any Hasidic woman before Freier winning a judicial post. It is rare even in Israel for Hasidic or other Orthodox women to hold elected positions. Freier, a political newcomer whose uncle is a former judge, won a three-way Democratic primary and the general election in a swath of Brooklyn that includes heavily Hasidic Borough Park. Her election is "a step for the Orthodox community at large," showing it's open to women making progress on the political ladder, said Yossi Gestetner, a longtime Hasidic political activist and public relations consultant who co-managed Freier's campaign. Hasidic Jews and other Orthodox groups together make up only 6 percent of America's estimated 5.3 million adult Jews, according to a 2013 Pew Research Center study. "The very idea that an Orthodox woman could be a judge" is notable, said Samuel Heilman, a City University of New York sociology professor who studies Orthodox Judaism. Under the strictest interpretations of Jewish law, women can't be judges or largely even witnesses in the rabbinical court, the beis din, that weighs various disputes in Orthodox communities. Freier stressed that her new post is separate from the beis din, and her supporters noted during the campaign that women have served as judges in the Jewish community throughout history. But when her husband, David, got a college degree, she aspired to one of her own. After graduating from a women-only program at private Touro College, she went on to Brooklyn Law School, finishing in 2005.